Lean organizations are learning organizations, discovering, solving problems, sharing ideas and growing as one integrated system. Our clients are long-term partners. We highly value these relationships and we will constantly strive to learn and innovate together. We want their operations to create strategic advantages in value generation and business competitiveness. We listen carefully to our clients and help them identify their true needs. We listen carefully to all of our participants, valuing their ideas for all solutions. We want our clients to learn to the point where they donât need outside help to continue making progress. We want to transfer transformation skills to them. A lean solution is an elegant and simple solution. We recognize the difficulty in making things simpler, but this is the ultimate pursuit of perfection. There is no learning without action. We expect changes in behavior as a result of what we teach, and that behavior needs to show up in measurably improved processes and management. EPI is a comprehensive value enhancement program for organizations seeking rapid and yet sustainable improvement. EPI enhances value of an enterprise by reducing cost in the areas of labor, safety, energy, direct and indirect material, warranty, capital and general operating expenses, and by increasing worth via hiring, retaining and developing people, enhancing management systems, developing better products, reducing time to market, improving quality and creating a unified, customer-focused organizational culture, all of which results in increasing brand value. The EPI process actively engages clients to create and sustain a competitive advantage by enhancing value of the products and services of their enterprise. 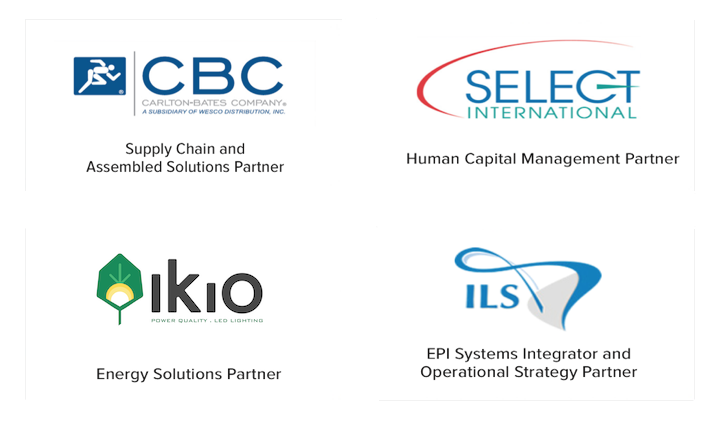 ILS made this possible by partnering with world class organizations in different areas of EPI expertise, recognizing that any one service provider cannot excel in all areas of an enterprise. Our team has developed a process that delivers an integrated solution for total Enterprise Performance Improvement. Today’s marketplace is highly complex with fierce competitors, rapid product development cycles, extended supply chains, and demanding lead times for highly customized products. Your organization has to be capable of responding to threats and opportunities quickly. You need to be able to increase your productivity; to improve profitability without sacrificing quality; and to create the kind of workplace that inspires full employee engagement. ILS helps build better organizations, clearing a path through the jungle of complexity and giving you the internal systems, processes and skills required for growing and sustaining your business. Lean principles, practices, tools, and techniques should be the foundation of an organization’s operating philosophy. ILS integrates, adapts and extends these practices to accommodate the unique needs of your business, to create complete, effective and sustainable organizational change.